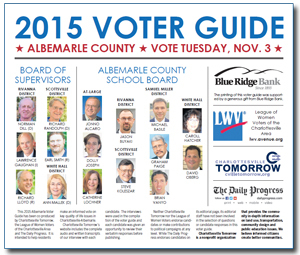 Jonno Alcaro is a candidate for the At-Large seat on the Albemarle County School Board. Five of the seven seats on board will be determined in the Nov. 3 election. Other candidates in this race include: Dolly Joseph & Catherine Lochner. Bio: Jonno was raised in New Jersey, educated in Pennsylvania and lived throughout the West for 34 years before moving to the Charlottesville area in 2010. He has a 39-year track record as a designer, builder and developer of departments, divisions and independent businesses within the securities and Internet industries, along with a demonstrated ability to consistently take complex projects from concept to fruition. His set of skills that will add value to the Albemarle County School Board and make him a trusted representative of all Albemarle Country residents include listening to concerned parties, deliberating, decision-making, budgeting and planning.